We were reminded at a recent seminar that switching one base liquor for another is one of the oldest bartender tricks in existence. There is often some other tweaking involved besides just making a substitution. For example, let’s start with a basic Daiquiri: rum + lime + sugar. Take that recipe and switch brandy for the rum and lemon for the lime. Optionally, add triple sec for extra citrus and sweetness. Also optionally, add sugar to the rim of the glass. Now you have a Sidecar. Switch out tequila for the brandy and switch the sugar rim for a salt rim. You can use lemon or lime or a combination. Now you have your basic Margarita. You may not know that several drinks we associate with whiskey today, notably the Sazerac and the Mint Julep, were originally made with brandy or cognac. The switch was made during a period of grape blight when cognac became much harder to get (and subsequently more expensive). Over the past week, we have been enjoying both of those cocktails with brandy as the base liquor, and the result is delicious. One thing to keep in mind, though, is that brandy/cognac is sweeter than bourbon or rye, so you can get away with using a little less sugar. We like to use Christian Brothers XO brandy or Hennessy VSOP cognac. You might try substituting other fine brandies or eaux de vie in yours and see what you come up with. Or you could try our variation, which uses Punt e Mes, a sweet vermouth with a kind of bitter edge to it. We also prefer an aged rum like Flor de Cana 4-year. If you are feeling really fancy, use the 12-year. 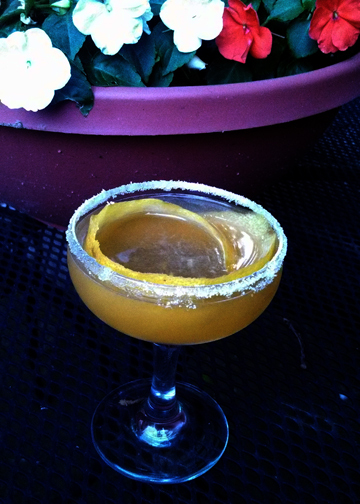 The ancestor of the Sidecar and the Margarita–the granddaddy of all “fancy” cocktails–is the Crusta. Though it was originally made with brandy, there was a time around the Civil War era when it was popular with gin. The style of gin you would most likely have found at that time was Old Tom. We recommend buying Ransom’s brand of Old Tom if you can find it. Otherwise, make your own. Carve a long spiral of lemon peel, about an inch wide. Place the lemon spiral in the middle of the glass. Shake and strain mixture into the glass. 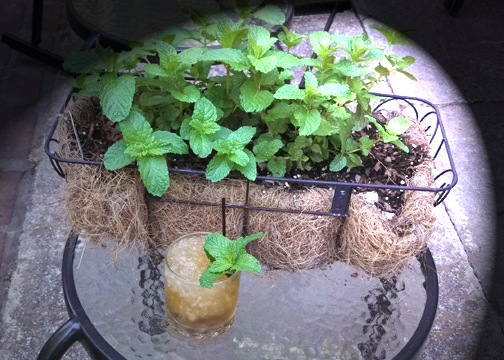 This entry was posted in brandy, gin, recipes, rum and tagged drinkwire.